CMRC Crowsnest 2014 Is almost Here! This is the Big show in Alberta for the Best XC Around! 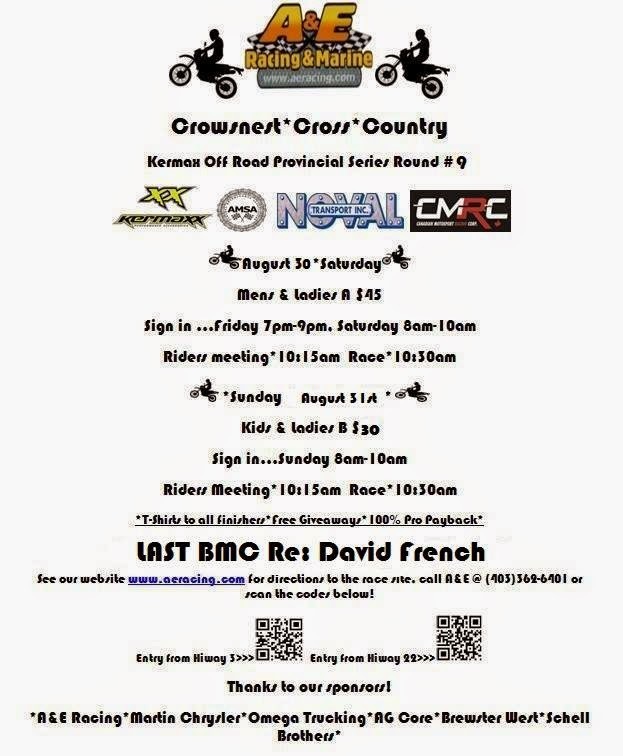 Dont miss the CMRC Crowsnest Cross-Country SATURADY Aug.30.2014! !